Clear as the night sky over the Rimrock’s, the story of sixteen-year-old Bradley Fletcher unfolds like a dark blanket hiding his past and his future. 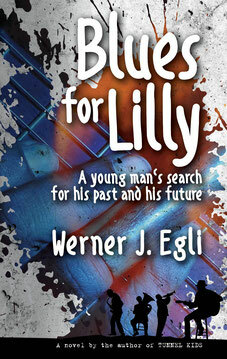 Bradley leaves a sleepy Texas town to see his grandmother Lilly in Memphis, Tennessee. Not knowing what to expect when he gets there, he finds himself in a crime story that happened long before he was born. Nobody and nothing will stop Bradley in his quest to find the brutal truth of what really happened when a young and beautiful white girl fell in love with a black blues musician in a time when black and white was not a matter of color… but of life or death.